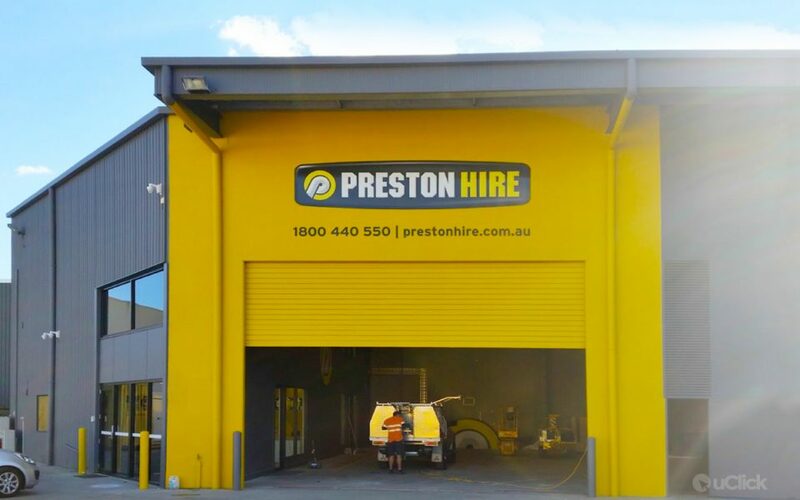 Preston Hire have taken another leap forward in their quest to be the number one access and lifting equipment hire company in Australia. This time it was moving their QLD operation in to a new facility. Preston Hire wanted to make this move a notable one, and employed uClick Solutions to help with the extensive signage on the building. uClick Solutions were proud to be involved and used some very modern products to achieve Preston Hires goal. The feature wall of the building called for substantial sized signs. Not only were the signs to be large, they also had to be custom shaped to match Preston Hires branding. This meant that the more traditional method for large signs of kedar edged banners, was not an option. Incorporating a combination of specialty vinyl, designed to adhere to concrete walls and die cut aluminum paneling, uClick managed to achieve a unique (painted) look on the building. Rarely is such care taken to make a building an integral part of the companies branding. There is no mistaking the occupiers of this state of the art facility. 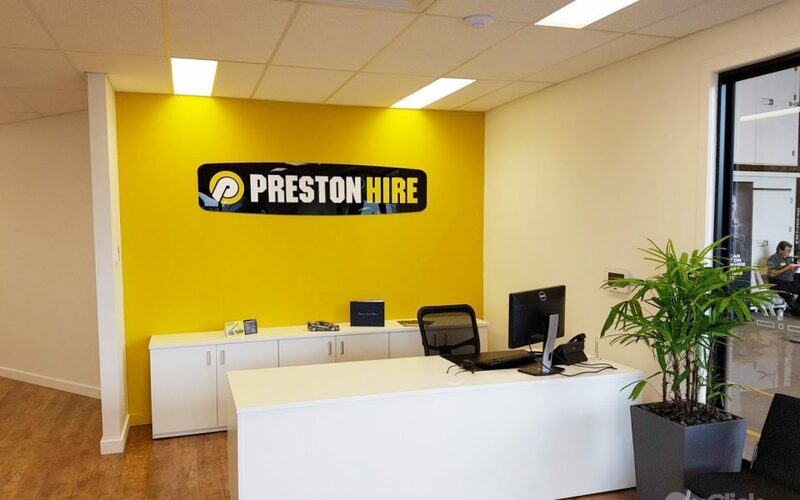 This latest round of signage has solidified the partnership between Preston hire and uClick Solutions. 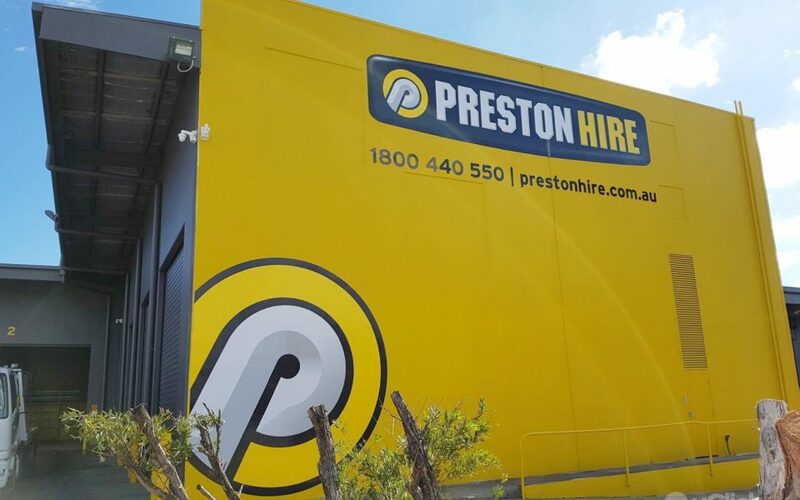 Preston Hires push for market leadership has seen more equipment landing in Australia as well as an expanding workforce requiring new vehicles, uClick Solutions is sure to be kept busy ensuring their branding is visible and consistent on each piece of equipment. Contact uClick Solution today on 1300554925 to give your business a competitive advantage!